54424-WC-PK is rated 4.5 out of 5 by 19. Experience a better shower with the control and flexibility of a Delta® hand shower. Great for showering yourself or your loved ones and pets, as well as for keeping your shower and tub clean. With three spray-selection buttons and a pause feature, ActivTouch hand showers allow you to choose from up to nine different spray settings with a simple, one-handed activation, delivering a new level of innovation for an enhanced handheld showering experience. The pause setting gives you ample space for shaving, lathering and other shower tasks, then easily restarts the water with the temperature where you left off. This spray setting helps you conserve water, so you can worry less about depleting your supply of hot water - and you help the environment too. Rated 4 out of 5 by Kathleen from Control Button got stuck I loved having a dual head shower and hand shower but one of the 3 control buttons got stuck in the down position. I can still use the hand shower but the types of spray are now limited to the other two settings. Rated 5 out of 5 by SandyBee from Exactly what we wanted This multifunction handheld works well as a shower head when in the holder and as a handheld when out. Easy to install and attractive, it exceeded our expectations. Rated 5 out of 5 by Plmbrmike from Quality handheld I like the design of this shower handheld. Looks good and has a good feel when you hold it. I’m glad it has a metal hose. I wish the holder was metal also, but it works fine. Rated 2 out of 5 by BR 549 from Delta 54424 PK This handheld shower was purchased to replace a Polinex handheld that I purchased twenty years ago. It was very expensive. The shower puts out a nice rain pattern. It does not have a straight through stream and it has very low power and very poor massage settings. I almost put my old polinex back on. If this piece of junk lasts twenty years o will be very surprised. 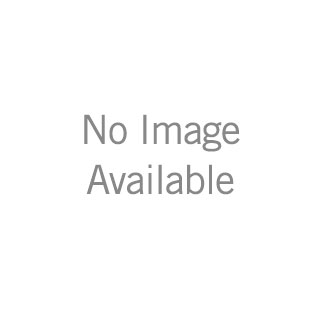 Rated 4 out of 5 by SANDEE from DELTA 54424-PK 2.5 Installed in a new home selling for approx. $349K. It I use this and several other similar Delta Products in my new construction and remodeling and have had very good luck with their performance and durability. Rated 5 out of 5 by BarbD from Delta Hand Shower. Love this adjustable shower head so much. It can be used as a regular handheld or clipped to a vertical slide bar at a fixed position for hands free. It has three different spray patterns. It is also perfect for washing our two Australian Shepard dogs. We took out our soaking tub during our remodel and used the extra space to make our shower extra large with a large bench. With this hand held shower head plus a fixed rain head shower on the adjacent wall, I don’t miss the tub at all. Rated 3 out of 5 by Jenna from Leaks The actual fixture looks beautiful. For some reason our leaks. We have replaced the diverter twice as well as the tub spout. For some reason water continues to come out of this. How much does the handheld shower head weigh? I am looking for something with a decent spray (to rinse out soap and conditioner), yet be lightweight and less stress on my arm. How much does this weigh? at 1.75GPM, is this enough water power? how does it compare to 2.o or 2.50 which are not so available . are there any that are 2.oo that are similar? Planning to feed showerhead and mount in the wall mount. Confirm that these products will work together. 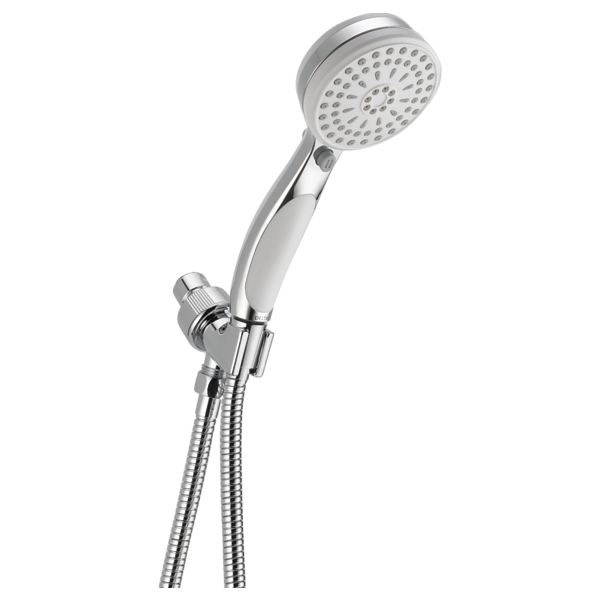 Would you mount this at same height as standard shower head or lower to allow for upward extension of shower head? Thank you for your question. 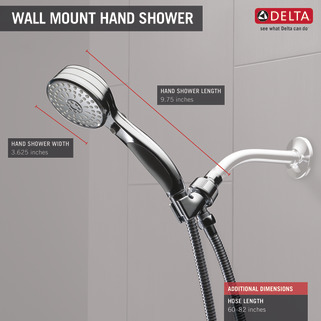 Delta Faucet model # 54424-PK should be mounted wherever it is most comfortable for the user to reach for it. It does not have to be mounted lower than a stationery showerhead. I need a high pressure from my shower, and according to some review 54424 c200 PK 2.0 GPM produces low pressure. How can I remove the sticker on the shower head to give a more pressure? Thank you for your question. Delta Faucet model # 54424-PK has a water flow of 2.5 gpm at 80psi. This is the largest flow allowed by legislation. We do not recommend removing anything from the showerhead to increase the flow. This will void your warranty. 1) does the bracket that mounts to the shower arm allow the angle to be changed (ie spraying less toward back wall of shower and more straight down?).. 2) is the bracket that mounts to shower arm to hold the handheld made of metal or plastic? 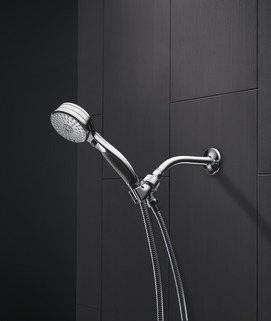 I purchased the 54424-PK, intending to use it as a wall-mount handshower. It looks like I need to purchase 2 more parts, a flange that comes out of the wall along with some kind of shower arm mount. Can you please tell me which part numbers I need?